Sonoma Valley Vintners & Growers Alliance (SVVGA) invites Associate Members, Sponsors and Partners to submit for the Member Savings Program. The Member Savings Program is an exclusive benefit to all SVVGA Vintner, Grower and Associate Members, providing cost relief and promotional opportunities on critical resources and products. 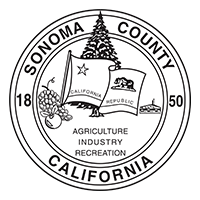 The goal of the Member Savings Program is to build customer and client loyalty, while supporting the economic vitality of Sonoma Valley and our members. Submit a special offering, promotion or savings and support your local wine community today. Expired offers don't appear on the site. Remember to extend ongoing offers. This should be a short description of the offer. One or two sentences. It's displayed as a teaser for the user. This is a complete description of the offer. Feel free to add whatever details you like here.